Valentine’s Day may be an excuse for greeting card companies and chocolatiers to increase sales. Once you grow out of all the tacky gestures, it’s easy to accept this as a day to celebrate all kinds of love. Whether this means love for your partner or friends, Valentine’s Day is a great day to treat yourself and your loved one(s) to a fancy dinner. We pick our favourite Mumbai restaurants that offer the perfect combination of romance, good food, and interesting décor. If there was one restaurant that had to be awarded Mumbai’s favourite, we’re quite sure it would be The Table. This outpost venue makes you feel like you’ve been transported to New York or San Francisco from the moment you step onto the handmade black and white tiles. 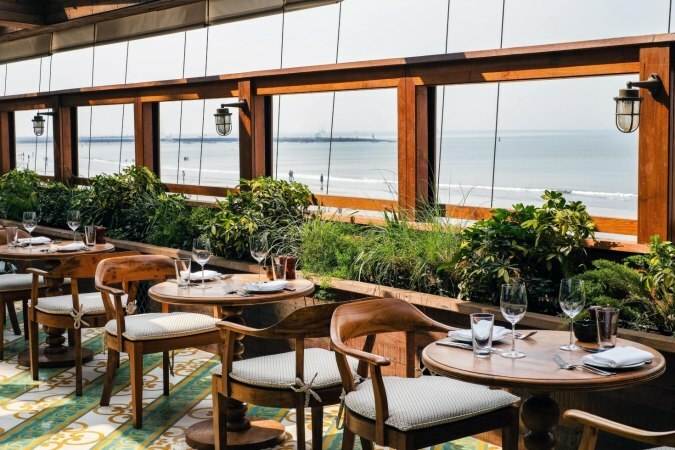 Designed by Tarik Currimbhoy, the entire space offers lots of natural light with 12-foot French windows looking out onto a busy Colaba street. The community table is made of Burma teak and can turn into a great space to spend time with your pals over multiple glasses of wine. This is where we recommend you go for a friendly Valentine’s Day with all your nearest and dearest. 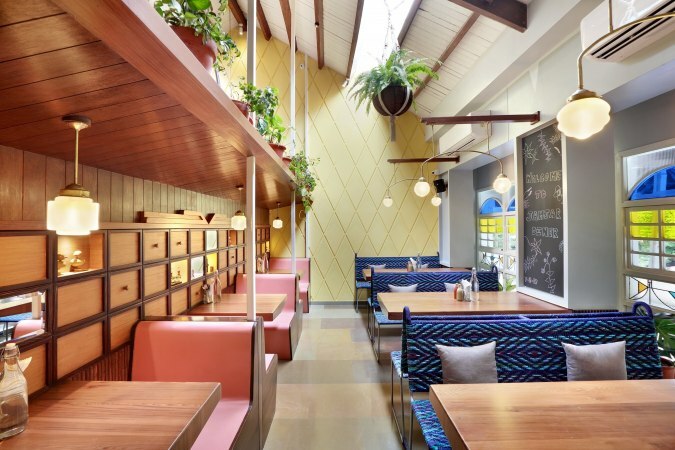 For something a little more light-hearted, why not visit the 1940s-inspired Jamjar Diner located in Bandra and Versova? This bright, chirpy diner may not be the traditional romantic candlelit dining space, but you might prefer this high-energy restaurant. We love how Jamjar is designed to look like an old-school American diner replete with printed crockery, metal, leather accents, and a jukebox. Play your sweetheart their favourite tune before sharing a shake, burger, and fries. This modern Indian restaurant that has already been highly awarded in Dubai has recently landed in Mumbai. Located at the swish Inspire BKC, Trèsind is where you take your date when you really want to impress them. 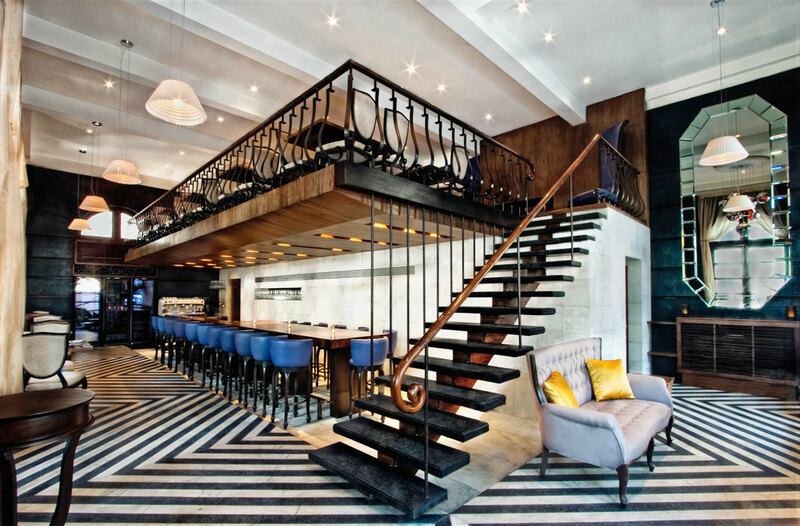 With interiors designed by Shweta Kaushik of SK:ID, the restaurant simply glows. As you walk in, your eye will immediately be drawn to the central, wave inspired lighting installations that spans 36 feet. The pearly white walls, brown marble flooring and industrial style accents all complement the intelligent and highly thoughtful menu perfectly. For a larger group, book their private dining room with fluted glass partitions, a petal dome ceiling, intricate marble patterned floor, and a customized circular chandelier. As you must have heard, the best thing to happen to Mumbai in 2018 was the launch of Soho House. The international chain has finally opened its doors and brings a taste of London to Mumbai. The entire house has been beautifully designed with tropical, Indian inspired motifs meeting mid-century modern design. Each room is unique and the rooftop bar is one of our favourite spots in the city. If you’re looking for a chic, unforgettable setting for Valentine’s Day look no further. Cecconi’s, the Italian restaurant that is open to all, is one of the most tasteful and classic choices you could make. 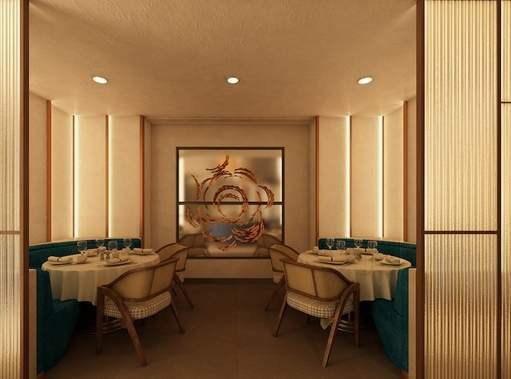 Savour modern Italian cooking while sipping a glass of wine with your loved one as you overlook the Arabian Sea.